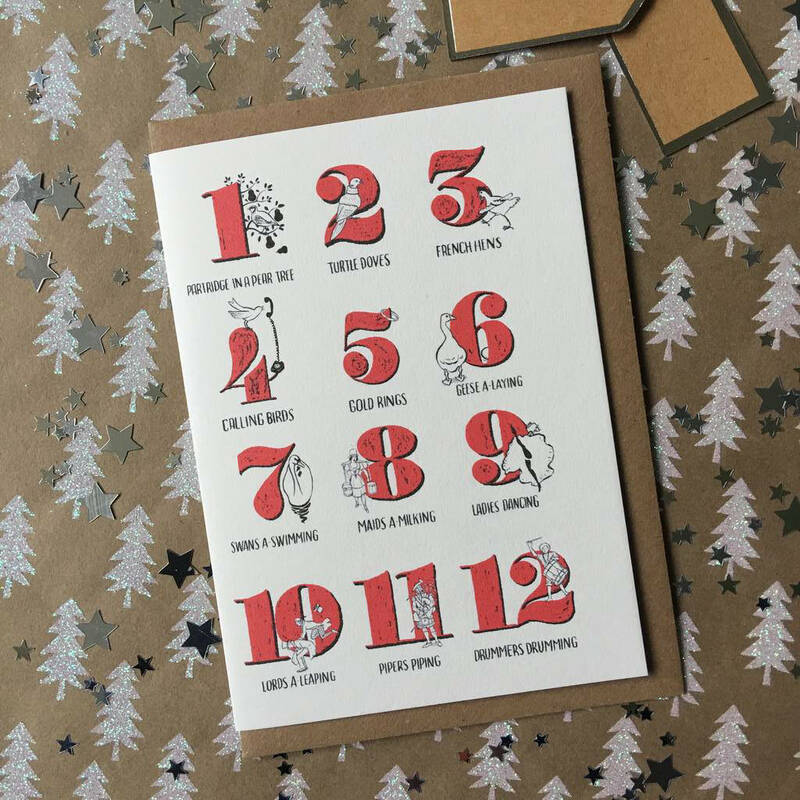 12 days of Christmas Christmas card pack of 8 identical cards. 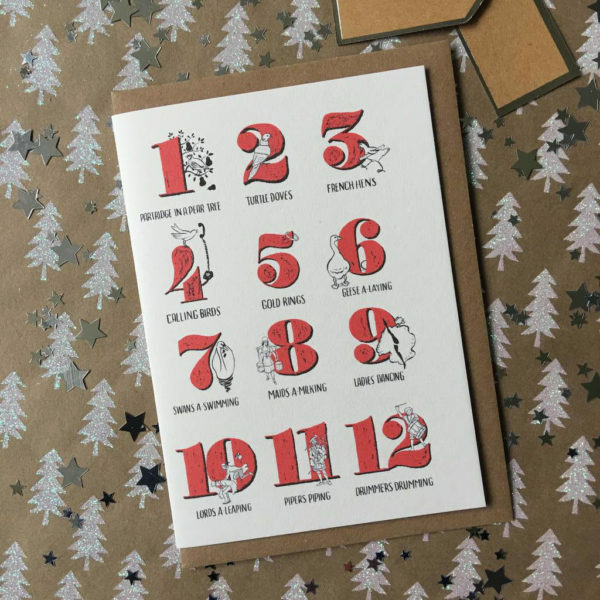 12 days of Christmas Christmas card pack. 8 identical cards, supplied with brown fleck Kraft fleck envelopes, wrapped in a cellophane sleeve. Who doesn’t love to sing along to this? Don’t know about you but we can never get the verses in the right order, so now there’s no excuse, here’s the perfect crib sheet. We also sell cards with the designs individually on each card, in a pack of 12. Listed separately. These illustrations also used to create a bunting for a super-stylish Christmas decoration. Listed separately.